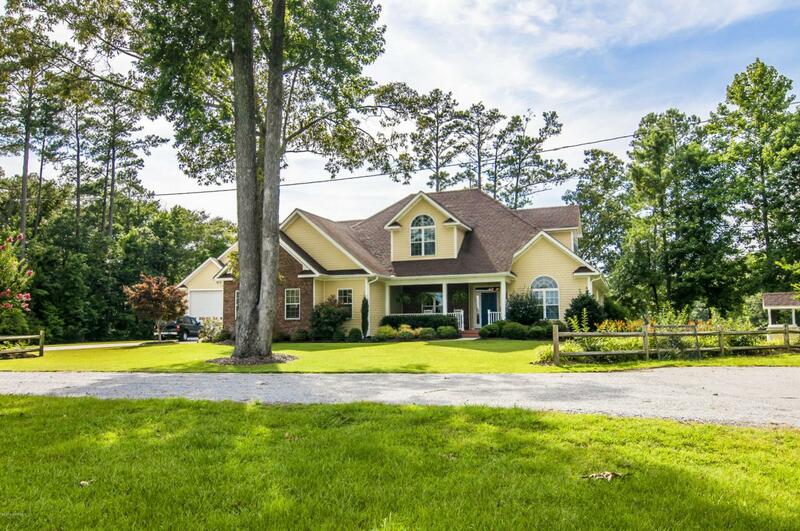 117 Cool Point is a classic, traditional home nestled on 1.2 acres of private tranquil 350 ft of protected shoreline. RV garage will accommodate a 38 ft motor coach. Workshop w/full bath. 2 car attached garage. Private dock will accommodate sailboat or power yacht. Luxurious 4 BR 4.5 BA custom built home. A masterpiece of design & craftsmanship. 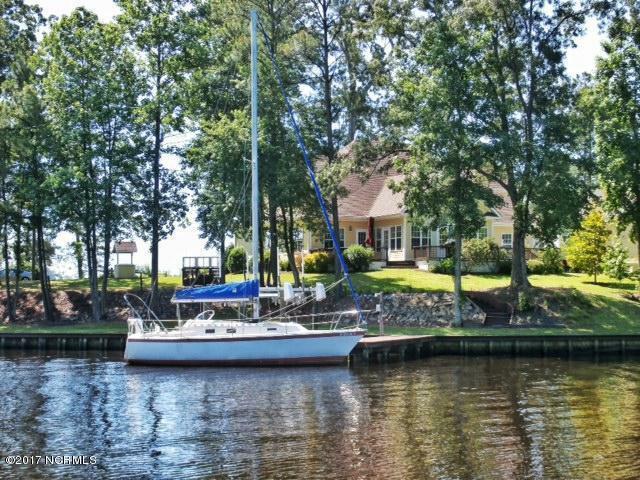 Located on deep water channel navigable to Bath Harbor w/ avg depth 7 ft & 8 ft within channel. Water depth 4 ft at the dock. Additional features search 117coolpoint. Home across Bath Creek from the historic village of Bath. Short drive to Washington & Greenville conveniences. Sits on an extremely high lot, not in flood zone. Waterviews from every room in the house. 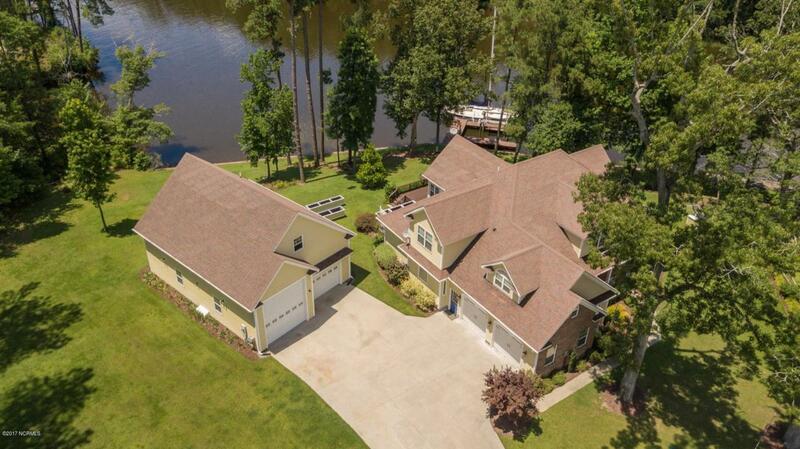 Enjoy 4 plus ft of water, no bridges, and good sailing with easy ICW access.The focus of this home is extreme quality, family living and an energy efficient Eco-friendly home. 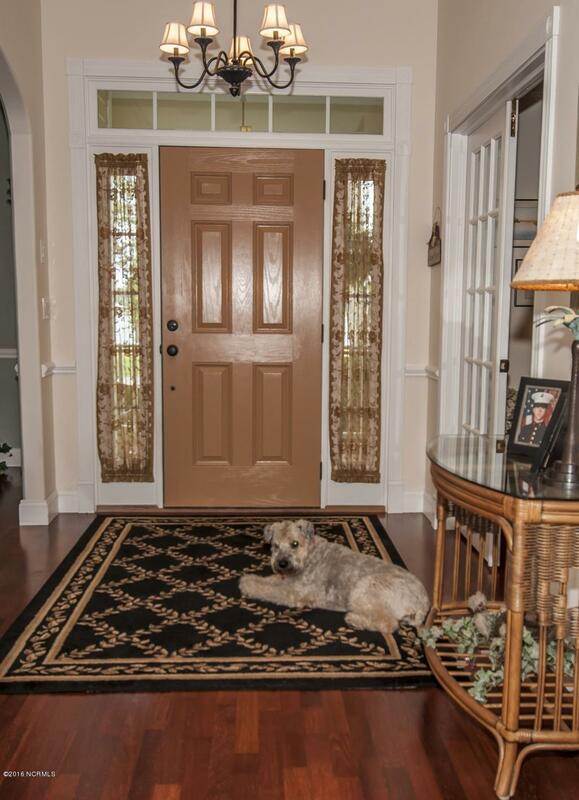 Home is of high quality throughout, with a custom kitchen that has granite counter tops, stainless appliances. Home has attached oversize 2 car garage with an added large detached garage. Detached garage has full utilities with full bath. Extreme value and Location.